Volcanoes release significant amounts of carbon dioxide into the atmosphere, but their contribution goes beyond the impressive plumes of gases and ash that occur during eruptions. Even near some seemingly inactive volcanoes, carbon dioxide from melted rock seeps out through cracks in the surrounding crust. These diffuse emissions likely represent an important part of the global carbon budget, but it is challenging to make good estimates of the size of these leaks. In a new paper in Geochemistry, Geophysics, Geosystems , Jonathan Hunt (University of Oxford, UK), working with Reservoirs and Fluxes Community members Tamsin Mather, Peter Barry, David Pyle (all at the University of Oxford, UK), and Amdemichael Zafu (Addis Ababa University, Ethiopia), attempts to estimate the total carbon emissions emanating from the Eastern Rift. The Eastern Rift is the eastern branch of the East African Rift, a zone near the horn of East Africa where the crust stretches and splits. 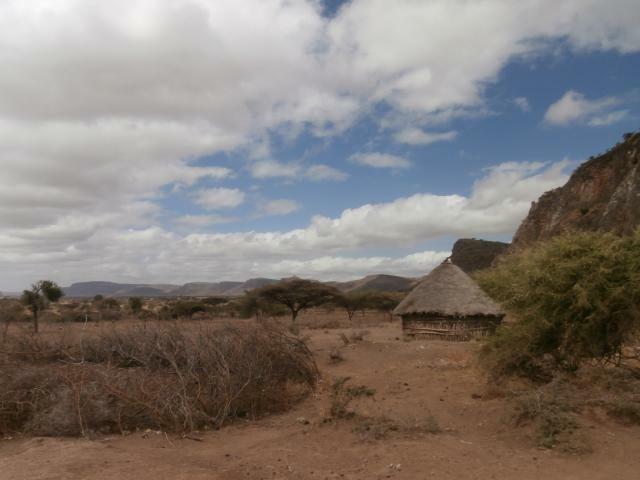 By extrapolating from soil carbon dioxide surveys, the researchers estimate that the Eastern Rift emits somewhere between 3.9 and 32.7 million metric tons (Mt) of carbon dioxide each year. Their estimate is at the lower end of those of previous studies. The difference is likely due to the extreme variability in gas emissions across and along the rift. The East African Rift System is an area with extensive volcanism and large amounts of magma moving into the crust. Across this region, carbon dioxide carried in the magma escapes through vents, fumaroles, hot springs, and even tiny pores in the soil. “Carbon dioxide doesn’t come up in spectacular plumes like you think of at volcanoes, it kind of seeps up through the ground in a subtle way,” said Mather. The new study is part of a broader effort to investigate volcanism in the Main Ethiopian Rift, a portion of the East African Rift that runs diagonally across Ethiopia, which is a potential source of geothermal energy. 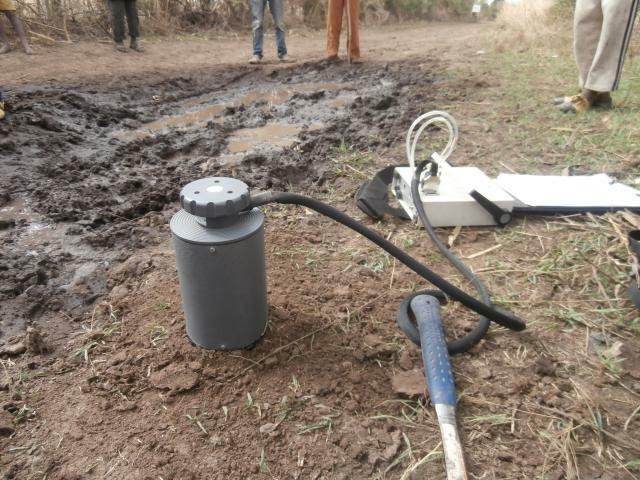 The researchers sampled carbon dioxide seeping from the soils at locations along the Main Ethiopian Rift using an accumulation chamber that measures the build up of the gas. “We largely targeted faults because we know that carbon dioxide is likely to be flowing along these planes of weakness in the crust,” said Hunt. Using statistical methods, the researchers scaled up their measurements to estimate the carbon dioxide released from the entire region. They calculate that the Main Ethiopian Rift emits between 0.52 and 4.36 Mt of carbon dioxide each year, with the entire Eastern Rift putting out 3.9 to 32.7 Mt. For comparison, Mount Pinatubo released about 50 Mt of carbon dioxide in 1991, during the largest explosive eruption in recent times. A likely source of these emissions is the melted rock, or magma, that fills up the space in the crust created by the widening rift. The researchers estimate that this volume of magma would generate between 6 and 18 Mt of carbon dioxide each year, which overlaps with the lower end of their estimate of emissions from the Eastern Rift. The overlap presents the possibility that magma provides all of the carbon dioxide released from the rift. The group’s numbers are at the lower end of the range presented in previous estimates, suggesting that earlier studies may have overestimated the flux based on measurements from particularly carbon dioxide-rich areas. “The carbon dioxide emissions vary hugely between measurements only a couple of meters away, so it’s very difficult to extrapolate from these measurements,” said Hunt. The study, however is a step toward constraining the size of the carbon dioxide flux from this area. “It raises lots of questions and I think it will be interesting to see where the field goes in the future,” he said. Currently, the researchers are working with a statistician to develop sophisticated techniques for generating more robust estimates. Additional measurements would also help them to narrow down the range of the estimates. The researchers are teaming up with Tobias Fischer (University of New Mexico, USA), a Reservoirs and Fluxes Scientific Steering Committee member, to collect more measurements from areas near the Oldoinyo Lengai volcano in Tanzania and other parts of East Africa. They also hope to continue their partnership with researchers at Addis Ababa University.